Yesterday we had the great pleasure to introduce you the first part of the Academy line-up. Today let’s continue this discovery with the second half of the Wizard’s Armies, featuring Champion and Warfare Units! In his treatise “On the Nature of the Spirit World”, the great scholar Sar-Aggreth made a tentative classification of Spirits. 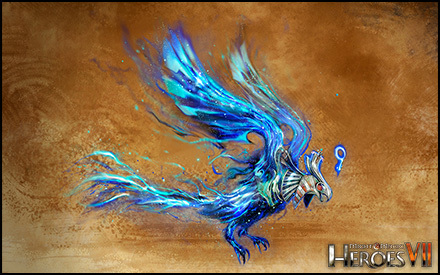 He noticed that greater Spirits often took the form of majestic birds. 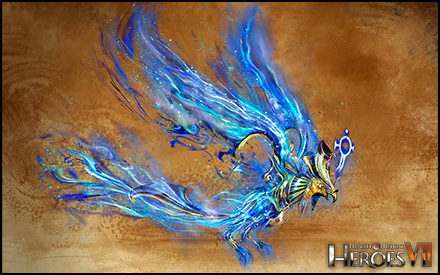 It is therefore no surprise that when Wizards of House Anima tried to materialize the most powerful energies of the Plane of Magic, the resulting beings looked like majestic eagles of pure mana. 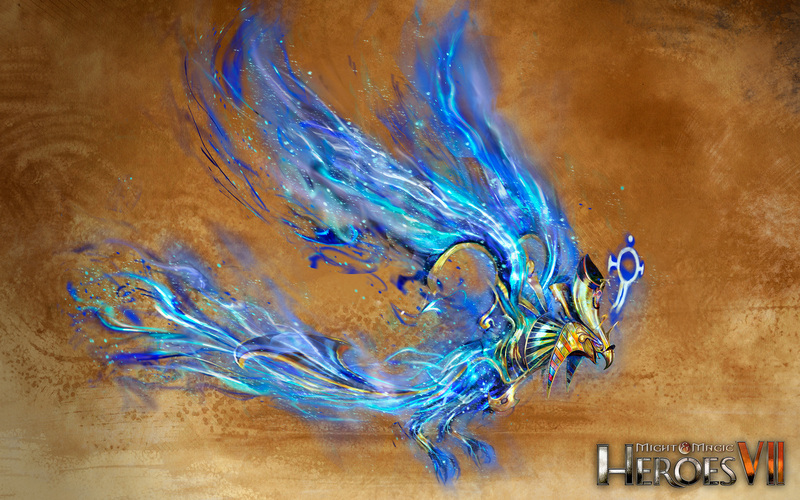 Long believed to be a mere legend among the students of the arcane, the Simurgh was eventually discovered in the surreal landscape of the Plane of Magic. It took a long time (and many disastrous failures) before the Wizards were able to understand the nature of this powerful being and bend it to their wills. 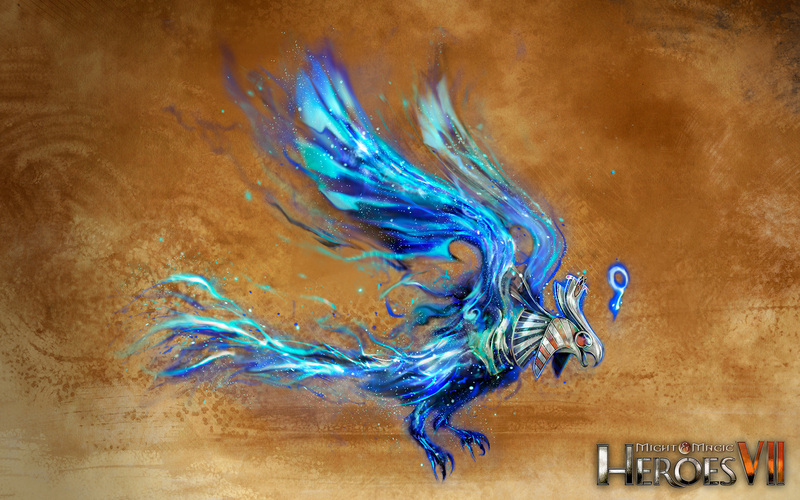 The Arcane Eagle is such a concentrated source of magic that anything close to it is saturated with magic, suffering from magical negative effects permanently. 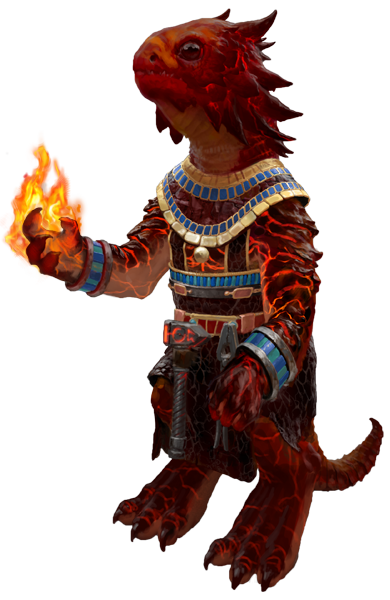 Simurghs are the ultimate magical tool for a Wizard, they serve as amplifier for their spells, making their master even more powerful spellcasters than they are by themselves. 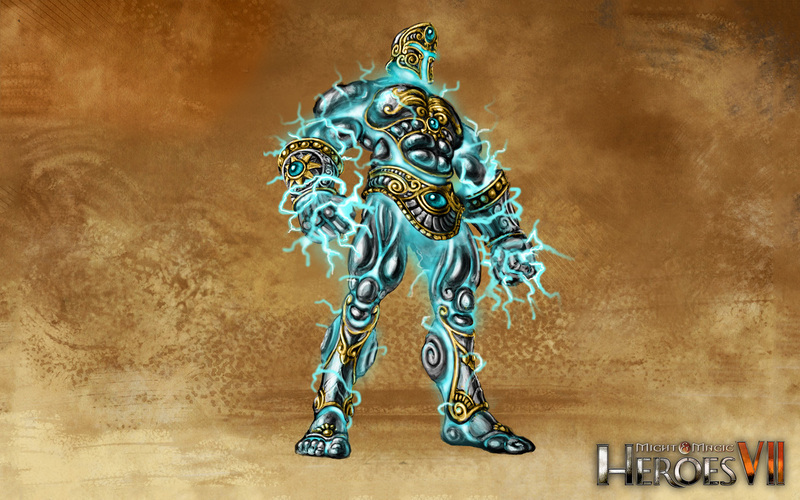 The first Titans were created by the Shantiris during the Ancient Age as immense statues, built of precious minerals and metals, of which the most important was starsilver. Wizards have long been trying to recreate these gigantic and complex Constructs: their first tries, Colossi, are not quite as powerful as the Titans of old, but they are impressive nonetheless. 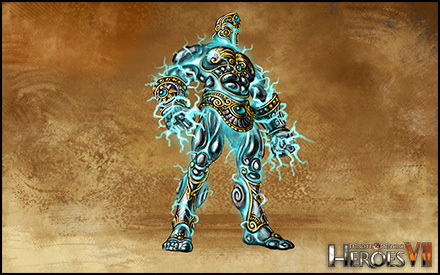 The few Shantiri Titans that have survived to the present day are almost objects of worship; they are carefully protected and studied by the Wizards who use them to create lesser imitations, which are still exceedingly powerful in battle. Their size and weight allow them to trample their enemies, and their earth-shaking fists can also channel devastating bolts of raw magic. Colossi and Titans are not alive, they cannot be healed or resurrected, but they are repairable... Colossi and Titans have the incredible ability to absorb part of the power of magical attacks or spells and use it to improve their own attacks. Wizards would rather stay at a safe distance from the battlefield, letting their servants do the fighting for them. That doesn’t mean they’ll let said servants die without lifting a finger to help them: the healers and alchemists of the Healing Tent are there to tend the wounded. 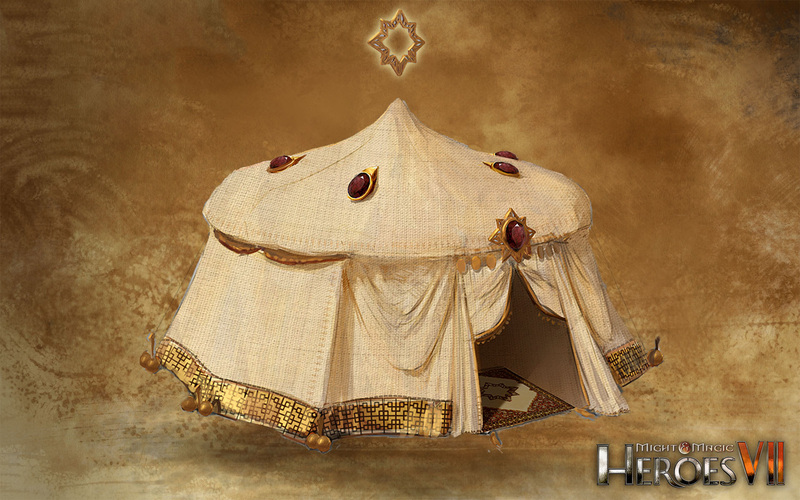 Sometimes, Wizard generals also affect Cabirs to the Tent, so that damaged Constructs can be repaired as well. 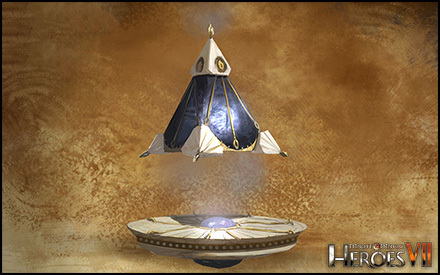 Built with conductor materials and rare crystals, Pyramids are Arcane Foci conceived to channel and redirect magical energies. 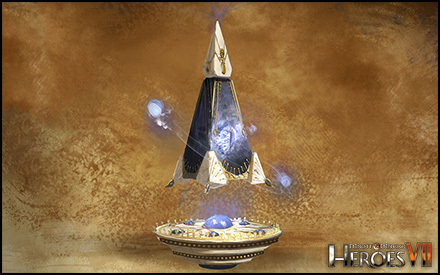 Originally conceived to help Wizards during difficult rituals, their role on the battlefield is mainly to hurl deadly magic missiles at the enemy troops. It needs a major display of spellpower to bring down a castle’s fortifications. 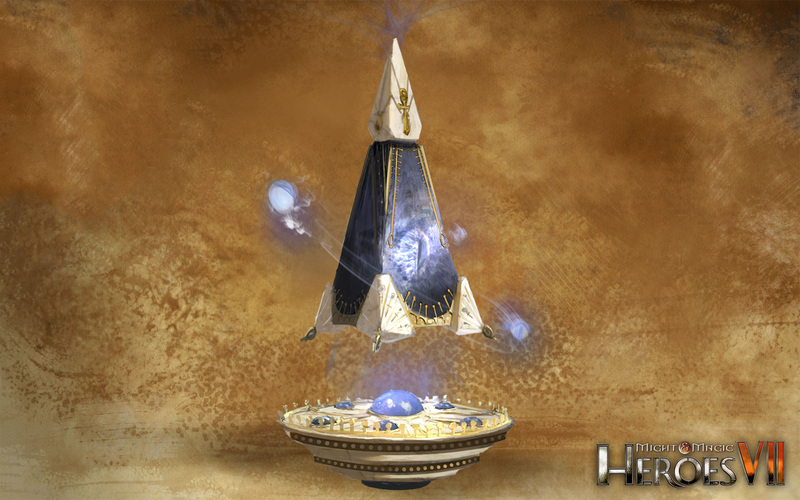 The Great Pyramid, a bigger and more complex type of Arcane Focus, is meant to provide such destructive capabilities.